The road trip begins. 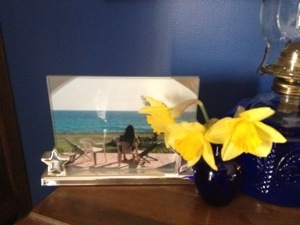 It’s appropriate that the daffodils should be blooming. We shared a love for these spring flowers. I always hope they bloom in time for his birthday on the 25th. They made it this year. I leave for the airport in a few minutes. The journey begins.